Newcastle's new development will provide housing for key workers and social housing tenants. 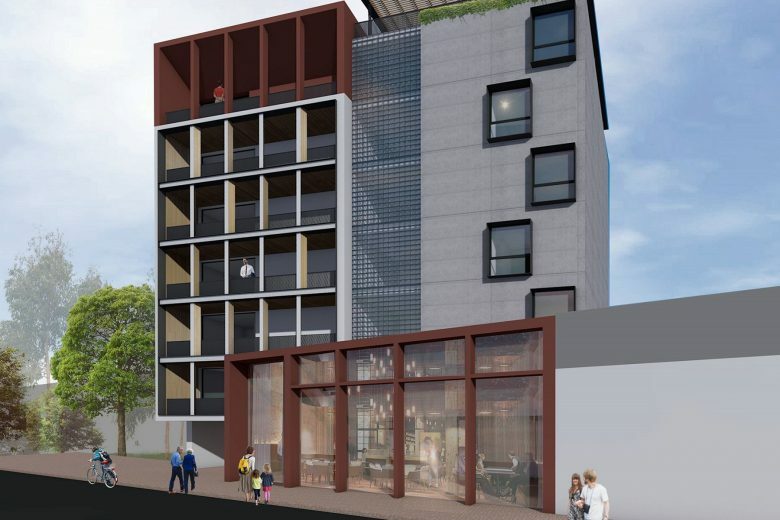 The partnership between Newcastle Council, the NSW Government and Compass Housing will see the development of an affordable housing development in Newcastle’s inner city, with the council, state and Compass each set to contribute $3 million towards the precinct. The building will include 17 one and two-bedroom units on Station Street, Wickham, with eight to be reserved for key workers such as emergency services personnel and teachers and nine for social housing tenants. Lord Mayor of Newcastle City Council Nuatali Nelmes said that rent will be capped at 30 per cent of household incomes. “The joint venture will provide homes close to transport and jobs to ensure a healthy diversity of inner-city residents as part of council’s well-rounded city centre revitalisation efforts,” she said. Clr Nelmes called on other councils, NGOs, government agencies and the community to take action to increase the amount of affordable housing. Professor Nicole Gurran, an urban planner at the University of Sydney who focuses on housing sustainability, said such partnerships are highly valuable in helping to address housing affordability. “Councils partnering with non-profits is an ideal way to deliver new affordable housing models – supporting growth in the affordable housing sector while also demonstrating to the wider market what can be done,” she told Government News. Professor Peter Phibbs, head of urban and regional planning and policy at the University of Sydney, said councils often underestimate the importance of such partnerships. “Given the size of the problem and the fact no one organisation has all the required capacity, partnerships are incredibly important,” he said. The need for councils to address the affordable housing shortage through more inclusive planning has been highlighted in a recent report by the Australian Urban and Housing Research Institute (AHURI). Affordable housing can be better supported as part of the planning and development process, the report says. “There is significant potential to expand the use of inclusionary approaches in Australia as a means of integrating affordable homes within wider planning and development processes. However, approaches must be tailored to local market conditions,” it found. While inclusive planning tools have resulted in around 43 per cent of total affordable housing output in the UK, the use of such housing schemes in Australia remains limited, according to the AHURI report. “A national approach to growing the affordable housing sector is fundamental, supported by cheaper access to finance as well as appropriate subsidy/funding including access to land through government land disposal programs and inclusionary planning approaches,” the analysis found. The report recommends that state laws regulating development planning by local governments support the inclusion of affordable housing precincts based on local housing need and capacity. Professor Phibbs, who co-authored the report with Professor Gurran, said that inclusionary planning is an important tool for councils but noted that it requires the state’s support.